Arbor Day is a celebration of trees and all the great things they do for us here in the Evergreen State. Washington State Arbor Day is always celebrated on the second Wednesday in April, and this year, April 11 is proclaimed Arbor Day by Governor Jay Inslee. However, Arbor Day is more than just a celebration of trees. It’s a celebration of responsible natural resource management. Salmon streams that DNR protects in native forestlands flow out of the foothills, across the landscape and ultimately through one or more of Washington’s cities. Urban areas are where streams, shellfish beds and fragile nearshore habitats are most threatened by stormwater runoff, erosion and sedimentation, toxic pollutants, low oxygen levels and climate fluctuations. Trees, however, are erosion reducers, pollution mitigators, water purifiers, climate stabilizers and carbon sinks. The practice of forestry in cities offers practical, low-cost, natural resource-based solutions to many environmental problems that affect our daily lives in Washington. Planting a tree in a city is an act of restoration. Caring for urban trees is an act of stewardship. Cultivating an urban forest is natural resource management. Sixty percent of Washingtonians live in an incorporated municipality, and approximately 90 percent of the state’s population lives in an area identified as “urban” by the 2010 census. There are 91 Tree City USA Communities in Washington and nearly 50 percent of Washington’s population lives in a Tree City USA. Tree City USA is a national award from the Arbor Day Foundation that recognizes cities and towns for making a commitment to plant, protect and maintain their trees. At DNR we celebrate Arbor Day in partnership with local communities across the state that have earned the Tree City USA® award. Find out if your city is a Tree City USA, as there may be special programs to celebrate trees in your community this month. But you don’t have to live in a Tree City to celebrate Arbor Day. 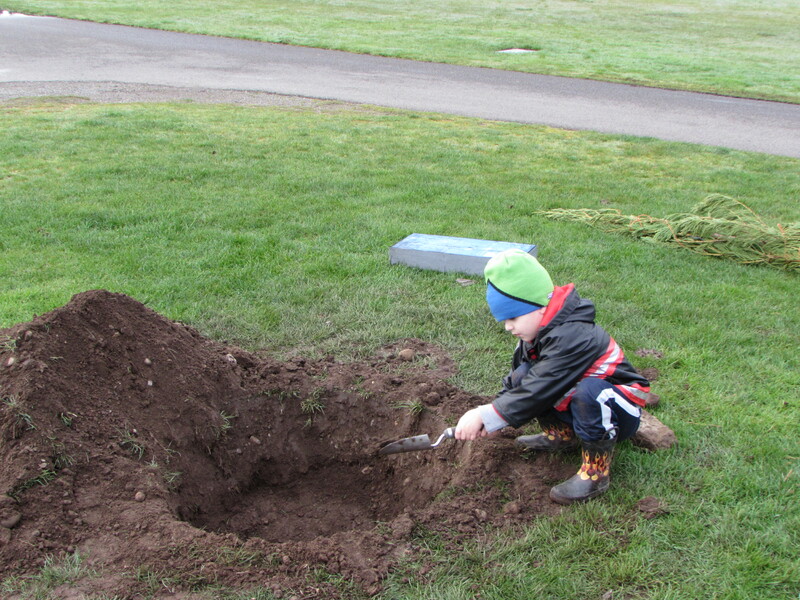 Many cities and towns provide opportunities for the public to help plant trees, pull invasive weeds or clean-up parklands during the spring season. Contact your city officials to find out what they have going on.